One of the most powerful newspaper columns ever published was written by Eugene Patterson for The Atlanta Constitution in 1963, after a church bombing in Birmingham, Ala., that killed four little African-American girls. The atrocity was not just a sorrow for the Black community whose children were lost, Patterson wrote. The fault rested not just with the deluded and hate-filled men who planted the bomb. “We watched the stage set without staying it. The same might be said in this country about the tragic life and ghastly death of Tina Fontaine, a 15-year-old Indigenous girl who sought help many times in the weeks before she was found dead in 2014 in Winnipeg’s Red River. The little girl’s story – a horror of abuse, sexual exploitation, poverty, violence and neglect — was told this week in a 115-page report by Manitoba’s Advocate for Children and Youth, Daphne Penrose. It should shame the nation. In this country of plenty, in this young century, in this nation coming to understand the long-term consequences of its past cruelties, a little girl disappeared and died in plain sight. Worse still, not only did Fontaine receive no help, Penrose said, but many First Nations children even now face similar dangers. They are “falling through the cracks of society’s safety net, just like Tina,” Penrose said. What her report concluded, in essence, is that we in Canada have our own Birmingham bombing, delivered in instalments, taking even more young lives. And we have it for the same reasons of racism and indifference that Eugene Patterson identified almost six decades ago in the American South. Fifty-six years on, adapted but slightly to our own circumstances, we still do. After reading the Penrose report, we should insist that those who represent us ensure all children at risk have safe, secure lodging. We should insist that no child in crisis be dispatched into the night alone, on a bicycle to make her way through the streets. We should demand reform to bureaucracy that has the potential to kill. We should insist that police investigate missing Indigenous children with the same alacrity they presumably would a non-Native child. The responsibility in such horrifying circumstances rests on all of us, Patterson wrote in a single, percussive theme long years ago. 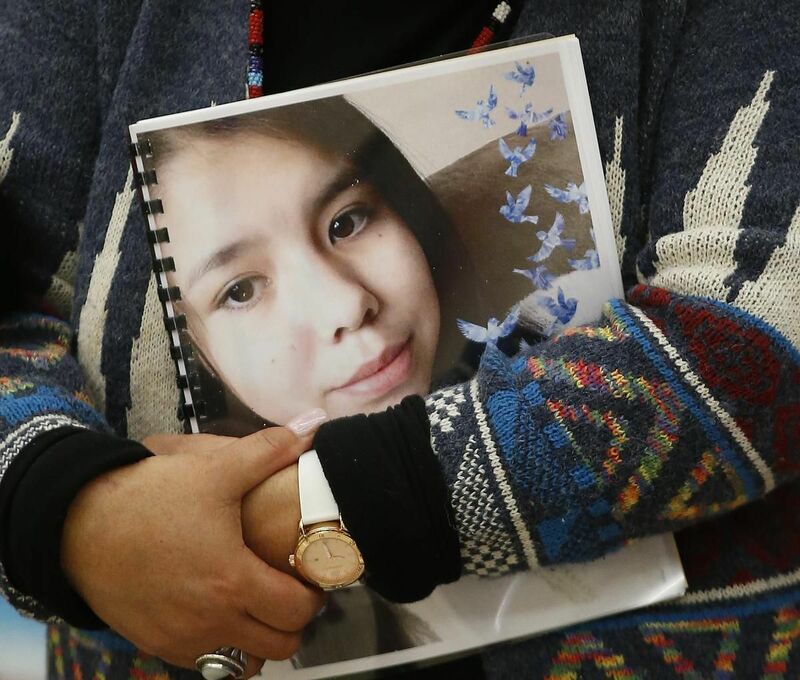 When her body was found, wrapped in a duvet cover and weighted with rocks, the child who was looking simply for a place “where it feels like home,” weighed 72 pounds. It is we who need to take up her burden. It is we who must ensure that children in such danger are delivered to a place that feels like home. It is we — hearing the warnings — who need say, no more.